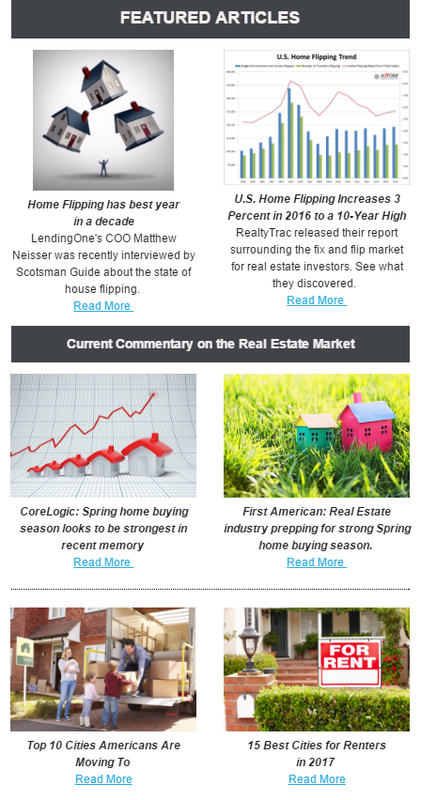 News stories, blogs, and reports compiled from top sites such as Realtor.com, Forbes, HousingWire, BiggerPockets, and more! A look at the most recent trends and statistics currently affecting the housing market across the country. Advice, ideas, and techniques from top industry experts about fix and flips, rental investment properties, financing, and renovations.